Read how culture influences the business practice and how it affects on the knowledge transfer in Egypt. We believe that our paper makes an important contribution to the existing literature on knowledge transfer and the implications of cultural differences in business practice, by providing the ground work required for further research. 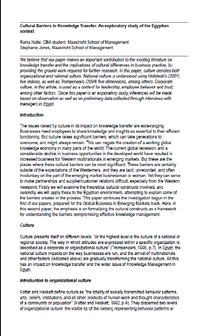 In this paper, culture denotes both organizational and national culture. National culture is understood using Hofstede's (2001) five indices, as well as Trompenaars (2004) five dimensions, among others. Corporate culture, in this article, is used as a context for leadership, employee behavior and trust, among other factors. Since this paper is an exploratory study, inferences will be made based on observation as well as on preliminary data collected through interviews with managers in Egypt. All whitepapers are available to you and free of charge. 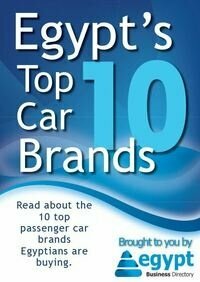 This whitepapers is provided by Rania Mohy El Din Nafie.